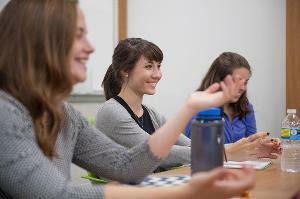 By using virtual reality classroom simulation programs, like Mursion™, our students have the opportunity to practice classroom management techniques outside of the traditional class setting. 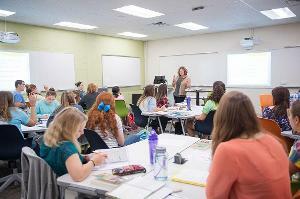 Our students have access to the latest classroom technology, and we have outfitted our teaching classrooms with wall-mounted TVs and touchscreen projection systems which can show both professor and student work. 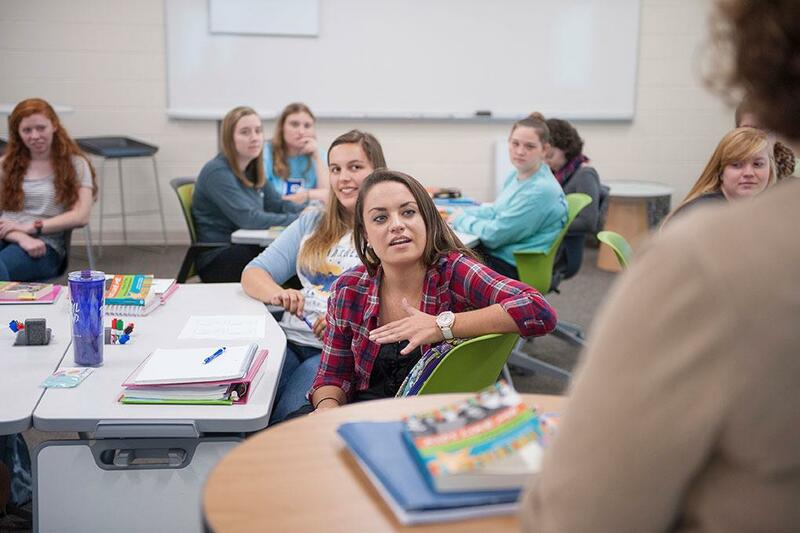 Modern technology is making big strides in classroom integration, and our students are among the first to experience it. While our variety of majors, (early childhood, elementary/middle-level, secondary and PK-12) are all different, all teach and practice integrating technology into the classroom. Integral to our program is our signature attribute of social justice, exhibited through an academic focus for advocacy for equity, civic engagement, global citizenship, and international/comparative perspectives. Through common core readings and academic integration, you’ll interact with cultures outside your own. By exploring cultures and languages within the education framework, you’ll broaden your global understanding and gain experiences which will help differentiate you when applying to jobs. Our students learn fundamental practices in culture-responsive education and peace education through poverty simulations, common core readings and research initiatives. We know as educators, we’re so much more than “teachers”; we’re mentors, student advocates, and leaders. Our students graduate prepared for the ever-changing realities of modern classrooms, and are prepared to be strong voices for social justice, equality and peace in the classroom. As an Education major, you begin classroom observations in your first year, and will be exposed to a variety of school settings: suburban, urban and rural. Though experience in classrooms in an integral piece of our curriculum, everything practiced is informed by theory. Coupling education pedagogy and real-world experience allows you to make informed choices when managing a classroom of your own, and will help you to understand what it really means to be a teacher in practice. 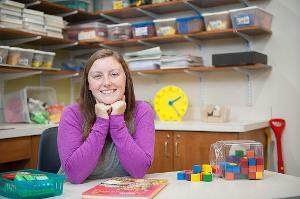 Your time as an Education major culminates with your student-teaching experience. You will be fully supported by a dedicated field supervisor who will make weekly observations to your classroom. As a student in the Department, you’ll be required to undertake independent research in your senior year, called an action research project. 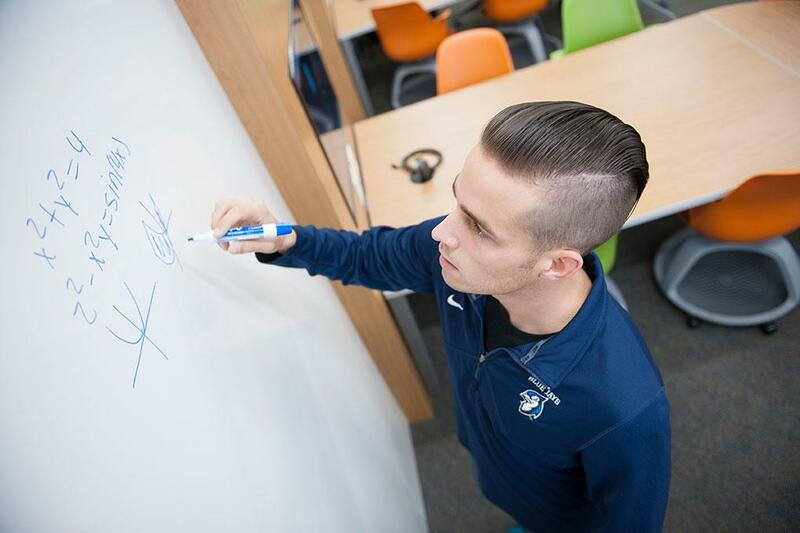 The focus on student-driven research opens up many other opportunities on campus for academic exploration such as SCARP, Honors in the Discipline, Scholarship and Creative Arts Day (SCAD), or professional conferences in their specialty discipline. Our recent graduates cite this experience as an integral piece of securing job placement upon graduation. 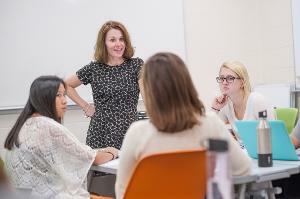 The Department of Education faculty are experts in their fields; conducting, presenting, and publishing their own research, and facilitating opportunities for undergraduate and graduate scholarship. Our faculty know and appreciate the value of individual research, and model ongoing learning in their academic lives. For over a decade, our faculty of teacher-scholars have been teaching and modeling proven principals such as the “Danielson’s Domains” that modern classroom management and education pedagogy is framed in. Our students graduate familiar with the assessment systems leadership will use to evaluate their classroom under the guidance of our experienced faculty. Our Department offers two unique graduate programs: a 4+1 Master's in Special Education, and a Master’s of Education in Curriculum and Instruction in Peace Education. As a graduate student, you’ll complete a cumulative thesis project in your 5th year. By combining rigorous academic work, modern teaching methods and technology, and additional in-classroom experience, the two programs prepare you for a career in the classroom as a highly qualified educator.